Lionfish Invasion in Roatan! | We LOVE Roatan Blog!! 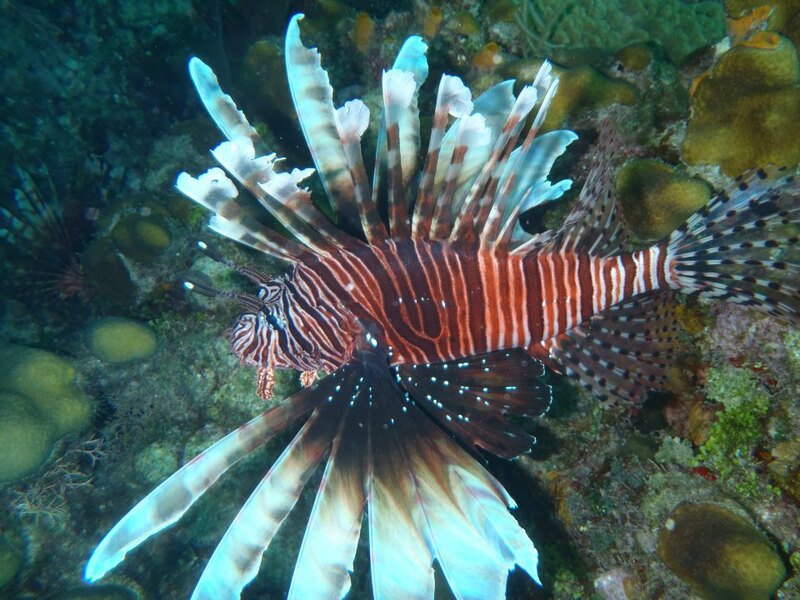 Perhaps the most beautiful and at the same time destructive creature in the reefs of Roatan is the Lionfish. Lionfish are natives of Indonesia but have been invading the Caribbean reefs for the past 10 years. It is said that they were released when an aquarium broke on the shores of Florida and released lionfish into the ocean. Lionfish contain poisonous needles on their top and side fins with a strong neuro toxin which deters most predators in the Caribbean. The problem with lionfish is they reproduce exponentially and are veracious eaters, eating mostly baby fish before they grow to full size. To combat this problem the Roatan Marine Park has started a campaign to spear lion fish. The RMP now issues licences to spearfish for lionfish and have made great strides in protecting the reef on the north side of the island. 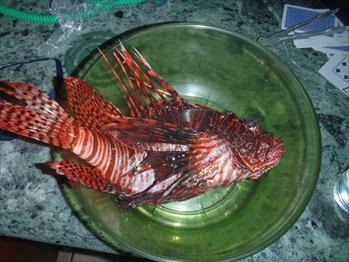 They have also had success in training caribbean reef sharks and groupers in Roatan to eat lionfish. I have seen lionfish at 600 ft on Karl Stanleys Submarine so it is unlikely that they will ever disappear but the steps taken today will give the prey of lionfish a fighting chance til evolution comes up with a solution.